Do you know if now is the right time to sell your home? What is happening in the current real estate market? Join professional Realtor Brett Furman at the Tredyffrin Public Library for a FREE seminar on his book, What You Really Need to Know About Selling Your House. Feb. 4, 2019 - FREE Real Estate Workshop at Footprint Church in Phoenixville. 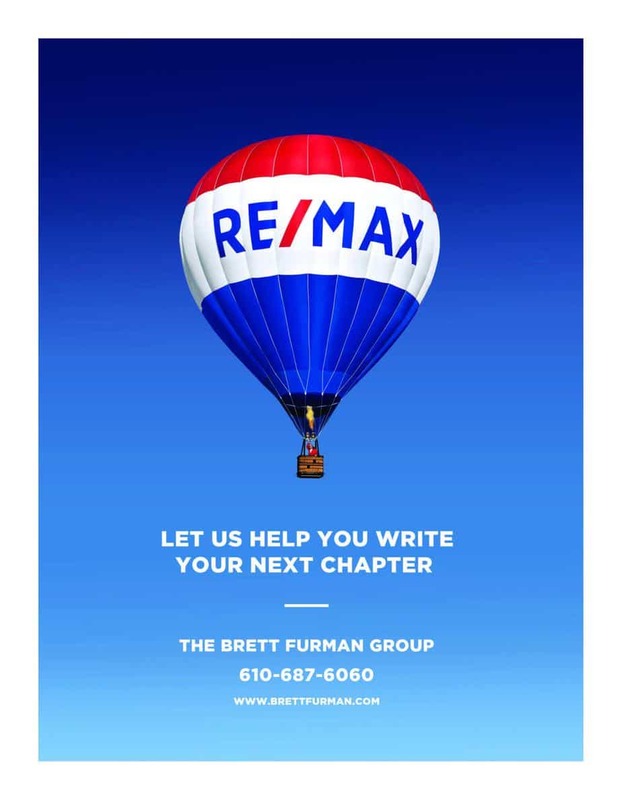 Join the Brett Furman Group, local expert Realtors to learn EVERYTHING you need to know about selling and buying a home. Navigate the nuances of buying the right home including 55+ housing options,. Should you buy or sell first? Whether you plan to sell or buy now or in the future, attend one of these can’t-miss events! Feb. 25, 2019 - FREE Real Estate Workshop at West Chester Public Library. Join the Brett Furman Group, local expert Realtors to learn EVERYTHING you need to know about selling and buying a home. Navigate the nuances of buying the right home including 55+ housing options,. Should you buy or sell first? Whether you plan to sell or buy now or in the future, attend one of these can’t-miss events! Feb. 26, 2019 - FREE Real Estate Workshop at West Chester Public Library. Join the Brett Furman Group, local expert Realtors to learn EVERYTHING you need to know about selling and buying a home. Navigate the nuances of buying the right home including 55+ housing options,. Should you buy or sell first? Whether you plan to sell or buy now or in the future, attend one of these can’t-miss events! March 4, 2019 - FREE Real Estate Workshop at Paoli Library. Join the Brett Furman Group, local expert Realtors to learn EVERYTHING you need to know about selling and buying a home. Navigate the nuances of buying the right home including 55+ housing options,. Should you buy or sell first? Whether you plan to sell or buy now or in the future, attend one of these can’t-miss events! March 6, 2019 - FREE Real Estate Workshop at Paoli Library. Join the Brett Furman Group, local expert Realtors to learn EVERYTHING you need to know about selling and buying a home. Navigate the nuances of buying the right home including 55+ housing options,. Should you buy or sell first? Whether you plan to sell or buy now or in the future, attend one of these can’t-miss events! March 11, 2019 - FREE Real Estate Workshop at Easttown Library. Join the Brett Furman Group, local expert Realtors to learn EVERYTHING you need to know about selling and buying a home. Navigate the nuances of buying the right home including 55+ housing options,. Should you buy or sell first? Whether you plan to sell or buy now or in the future, attend one of these can’t-miss events! March 13, 2019 - FREE Real Estate Workshop at Easttown Library. Join the Brett Furman Group, local expert Realtors to learn EVERYTHING you need to know about selling and buying a home. Navigate the nuances of buying the right home including 55+ housing options,. Should you buy or sell first? Whether you plan to sell or buy now or in the future, attend one of these can’t-miss events! April 22, 2019 - FREE Real Estate Workshop at Chester County Library. Join the Brett Furman Group, local expert Realtors to learn EVERYTHING you need to know about selling and buying a home. Navigate the nuances of buying the right home including 55+ housing options,. Should you buy or sell first? Whether you plan to sell or buy now or in the future, attend one of these can’t-miss events!